Fall is in the air in northern Florida. With the summer heat subsiding a bit and Halloween on the way, it’s a great time to enjoy some activities like ghostly walking tours, fall marathons, and fishing tournaments along with very enticing weather–Amelia Island has something for adults and kids alike. 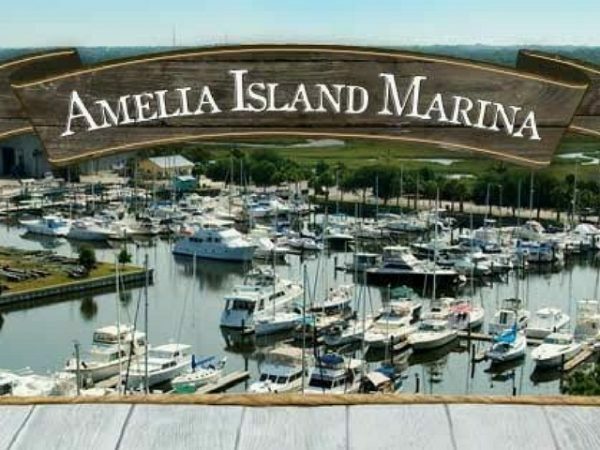 So, grab your crew, book one of the many Amelia Island vacation rentals that are currently available at great prices, and head out to some of these great events on the island this month for a fun family vacation or getaway. Three cheers for an evening of cocktails, gourmet food, and live music – a perfect way to add a little bit of luxury to your vacation. Sample unique, locally-crafted cocktails and some of the best gourmet food from the region at the Ocean Club of Amelia Island. This evening also features a mixing competition, so don’t forget to vote for your favorite drink. This evening is brought to you by First Coast Magazine, a lifestyle publication with a food and drink lilt, the Pineapple Corporation, and St. Augustine Distillery. When: October 19, 6 to 9 p.m. This is a great event for those fishers with a competitive streak. Spend a day on the water for the 3rd annual open-to-the-public Redfish Spot Tournament at the Amelia Island Marina. Competitors may begin fishing Saturday morning at “safe light” and can start to check their catch at 2 p.m. The angler who catches the Redfish with the most spots wins. Trophies and cash prizes to be awarded. Make a day of it and bring the family, as there will be a silent auction, raffle, food, drinks, and music for all guests to enjoy. Cost: Free for visitors. $40 for adults and $20 for youth for anglers. Register in advance online or the night before at the Captain’s meeting ($10 more). Beat your personal best on October 21 at the ZOOMA Women’s Half Marathon. Run this flat course along beautiful Fernandina Beach ending at the Ritz-Carlton–the perfect backdrop for a post-race picture. The best part? The post-race party on the Ritz-Carlton lawn. Treat yourself to a post-run massage or recovery yoga, or enjoy a selection of nibbles and–you guessed it–a glass of wine with your fellow competitors. This run-turned-social-event is a not miss for all those female athletes on Amelia Island, locals and visitors alike. A portion of the proceeds goes to The DONNA Foundation, a Florida-based organization to support breast cancer patients. When: October 21, 7 a.m. to 12 p.m. 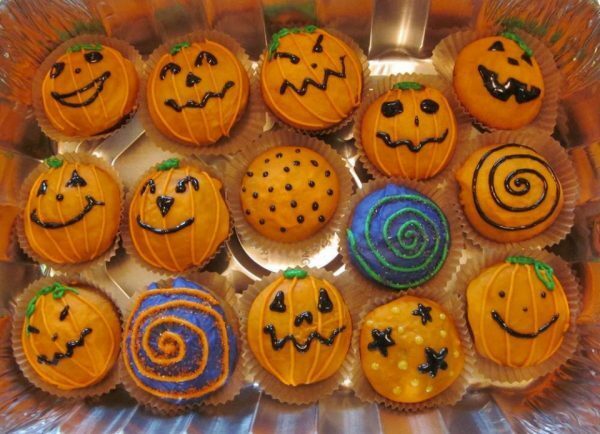 This Halloween-themed cooking camp (read: parents can drop their kids off for a couple of hours and go out for dinner) is sure to be a treat. The class teaches all things cupcakes, from mixing ingredients to the art of icing and decorating. Kids make everything, including batter and icing from scratch. This fun class taught by Chef Bill at the Amelia Island Culinary will give kids a taste of what it’s like to be a chef–costumes, chef or other, are encouraged! Parents are encouraged to enjoy an evening downtown. Grab a bite to eat or catch an Amelia Community Theatre production while your kids learn a new skill! When: October 28, 6 to 8 p.m.
Do you believe in ghosts? Find out by taking a ghost tour hosted by the Amelia Island Museum of History. Let your guide take you on a spine-chilling walk starting in the church cemetery, bringing the ghost stories of Amelia Island to life through masterful storytelling. Don’t miss out on this eerie tour, a perfect addition to your Halloween calendar of events. Loved this tour? Join the museum on Thursday nights for its newest tour, a historical pub crawl. Absorb the history of Amelia Island’s most popular–and notorious–bars while sipping a pint. For the real history buffs, the museum also hosts walking tours of the museum, Centre Street, South Fernandina, and holiday homes. When: Every Friday, 6 to 7 p.m.